There are many ways one can strike a windfall, like buying the lottery, hitting the jackpot at the casino, or winning the grand prize in a lucky draw. Every year since 2014, though, a generous Singaporean company has been rewarding its customers with real cash. All their customers have to do is watch advertisements and sometimes, participate in a large-scale treasure hunt. 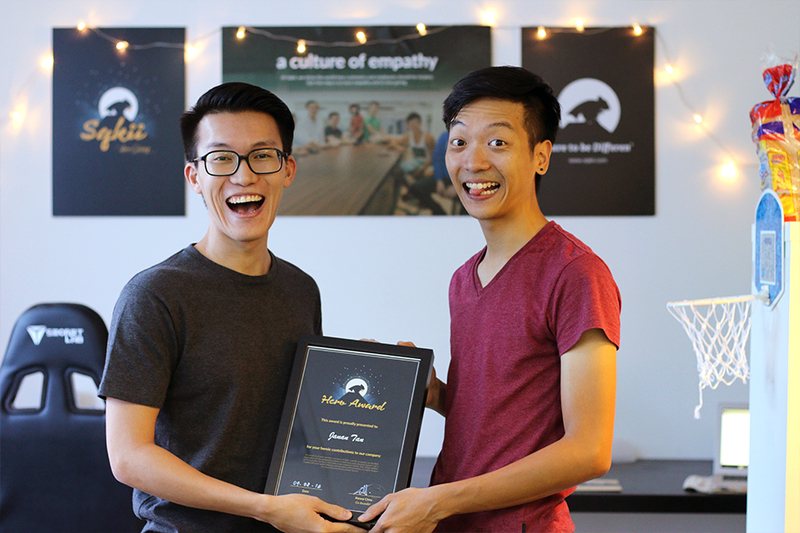 The company is Sqkii, and after a tumultuous 2016, this is how they managed to turn their business around with the first #HuntTheMouse campaign. How Did #HuntTheMouse Come About? 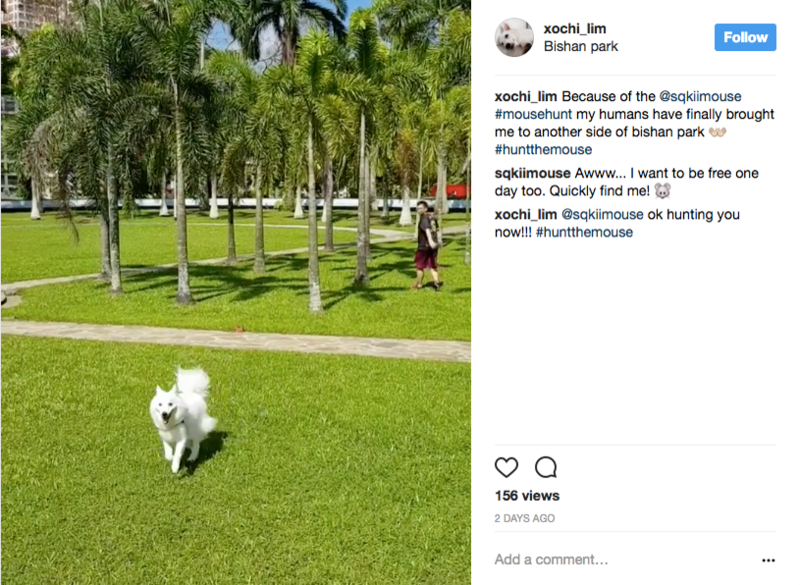 Kenny Choy, co-founder of Sqkii, explained that the first #HuntTheMouse campaign at NTU was “a last-ditch effort” to acquire new users to support another group of very active users who contributed content to their application. The month that one of their key developers left was the same month they were left with only “several thousand dollars… and an incomplete (sometimes buggy) web application”. It first set out to be a web application that rewards users with real cash as they watch promotional advertisements they find useful. 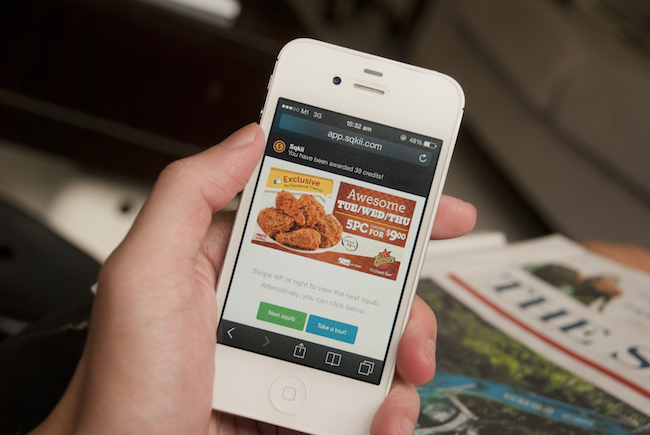 The user would use it to browse the latest promotions from food or fashion retailers. The Sqkii team aimed to launch their iOS app in December 2016, but when the month came, they haven’t even coded the app yet. “In short, Sqkii in October 2016 wasn’t a company which anyone in the right frame of mind would invest his or her money into,” Kenny said. That was when they realised the need to become either “self-sustaining, or attractive enough (to investors)” to get more funding. Turning Sqkii into a self-sustaining business was almost out of the question since we do not yet have a complete product—one where tens of thousands of users are actively using. Therefore, we were more interested in acquiring certain ‘pre-requisites’ that will make us attractive in the eyes of potential investors. They were in such a dire situation that Kenny briefed Marcus Ng and Eleazar Lim, also co-founders, that if they continued to draw their salaries, the company would go bankrupt before the end of 2016. So they unanimously agreed to greatly reduce their pay. In the next month, their pay dropped to zero. And with that very bold move, they bought themselves about four months of time to find themselves another investor. “It was far more important that the company’s account has money, compared to our own personal accounts,” Kenny said. 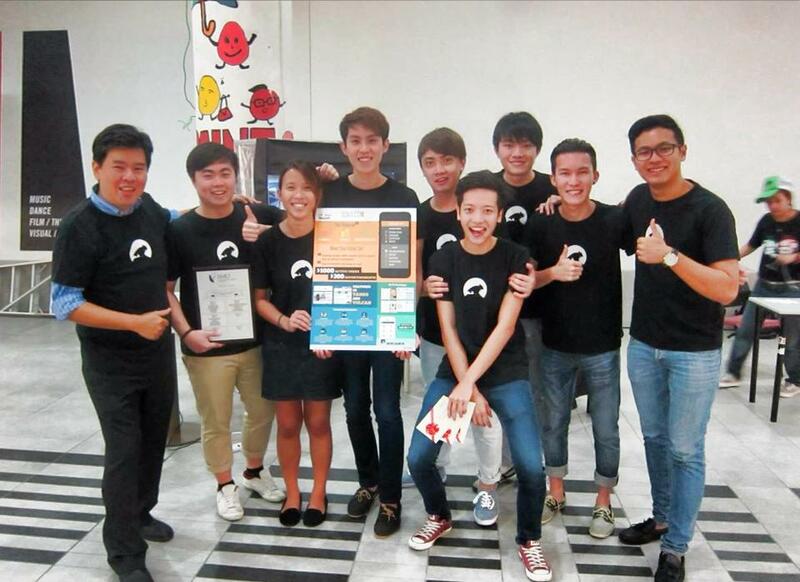 They prioritised the iOS development and prepared for Sqkii’s official public launch. But first, they have to find willing users and establish an engaging community in order for the app to succeed. One of their successful programmes at that time, had “nurtured a very active group of users” which contributed to their application. They had two objectives for the #HuntTheMouse campaign. The game objective was to encourage as many people as possible of all ages to participate. 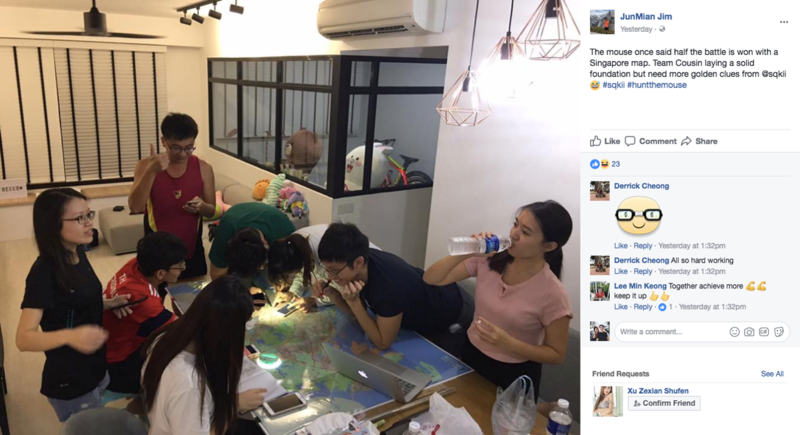 They designed the game to be simple for everyone to play, and the clues to be “ambiguous enough” that people can discuss while exploring “parts of Singapore that they would otherwise not have visited”. The business objective was simply to promote Sqkii as a credible company that loves giving cash and rewards. 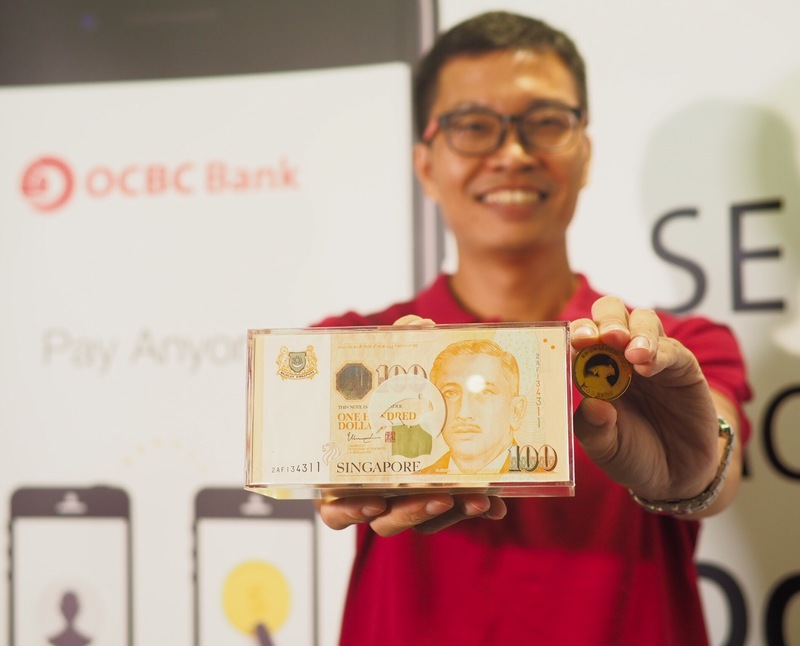 Up till March 2017, they have been organising cash hunts in tertiary institutions and were preparing for the islandwide $50,000 cash hunt in collaboration with OCBC. Kenny revealed that getting sponsors to come onboard is one of their biggest challenges as the hunt could potentially end in less than a day. Existing sponsors dropping out, agency intervention, and issues with overseas suppliers are some of the problems they faced that almost led to the team calling off the event even before it started. When something unpleasant happens, we minimise the time we feel sorry for ourselves, quickly bounce back, and find a solution to the problem. As cliché as it may sound, it is not about the cards we are dealt, but how we play the hand. Despite the growing number of similar events, like the National Steps Challenge organised by the Health Promotion Board, people are sceptical especially if it is by a new company or a startup. 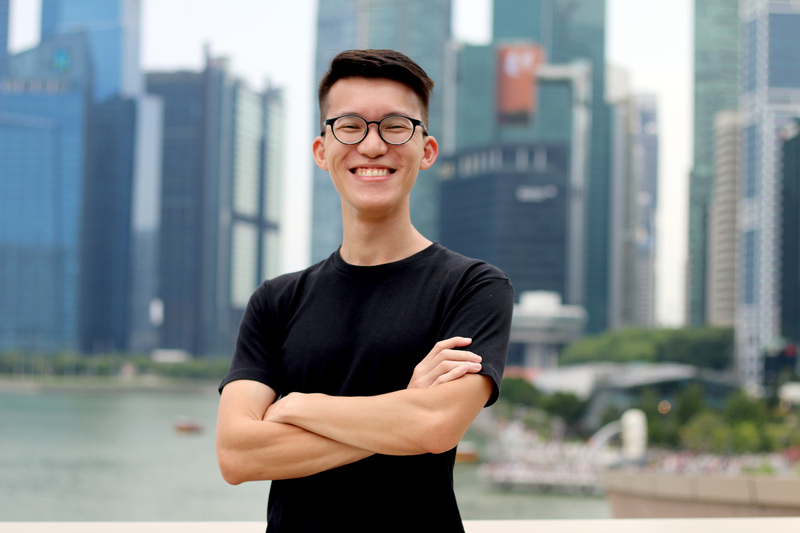 Kenny believes that for the Sqkii app to be received well, the company “has to be seen or perceived” as credible and one that sticks to its promise. 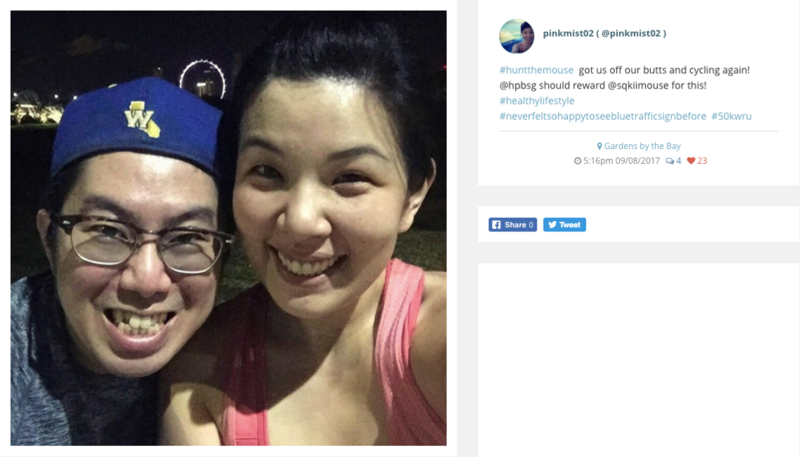 So, the $50,000 cash hunt was necessary to introduce Sqkii as such a company. It’s been three years since we last spoke to Kenny, and it had been a fresh concept for both advertisers who wanted their ads to be seen and consumers who were looking to earn cash by the side. While I assumed that what had changed was what moved Sqkii forward, Kenny said it was actually what didn’t change that led to its progress so far. “Over the past four years, it can be said that our company was in a phase of discovery—one that eventually led us to our current model,” Kenny mused. He recounted the beginnings of their journey in December 2012. They were inspired by the “effectiveness of the revenue-sharing model” so they wanted to develop a tool that would make people look at advertisements. They made a simple application that that rewards users with credits that can be exchanged for cash when they watch ads for 10 seconds or more. They realised their product was more of a solution for advertisers rather than for users. It was a product where users were “not paying enough attention” to the advertisements served to them but advertisers would not come onboard with them unless Sqkii had a mass-market appeal. Simply put, we realised that to provide an effective solution for advertisers, our product must also solve real painful problems faced by an average consumer. Around mid-2015, their application became a reliable rewards tool for consumers where they can check if they are entitled to a promotion. Kenny said he wants Sqkii to be the default API that could allow such a conversation to take place. “And of course, in between all that, we will continue to show Singaporeans (and others) why we love giving. Perhaps with a $100,000 cash hunt?” he teased. 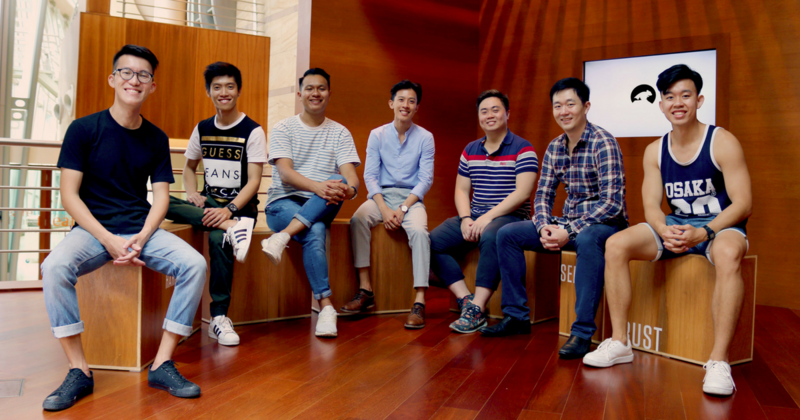 This year, Kenny concluded, is the year Sqkii transforms into a one-stop tool for discounts, promotions, and offers in Singapore after four years of research and development.